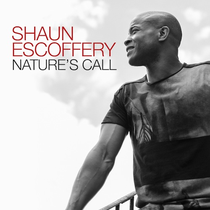 Taken from his first album recording in seven years, 'The Red Room' which is forthcoming this autumn, UK soulful artist Shaun Escoffery’s recently released track, 'Nature's Call' on Dome Records, has just been added to the BBC Radio 2 A-list. The track is a plea for people to come together and live in "love, peace and harmony,” with a video featuring members of the general public with Shaun in the background narrating the scene. Remixers who have contributed to 'Nature’s Call' include his lifelong friend Idris Elba (The Wire, Luther and Nelson Mandela in Long Walk to Freedom movie); regular cohort DJ Spinna, who adds his signature Brooklyn House flavour; the UK’s Copyright, who turn out a powerful deep groove; Sir Piers, who joins forces with Pedro Caldas to deliver a tasty soulful remix and dub; and Gil Cang, who produced and co-wrote the album and adds his own take with a Rolling Stock remix. ‘Days Like This’ had started out as an acoustic guitar thing, but the subsequent release of the DJ Spinna remix took him down the club route for the first time. In 2003 his label Oyster released a remix album ‘Soulonica’, with contributions from Jazzanova, DJ Spinna, Koop and Mark de Clive-Lowe, among others. In 2007 came ‘Move Into Soul’, an album produced by Shaun with Geoffrey Williams, which featured his interpretation of some of his favourite soul songs, among them ‘Why Can’t We Live Together’ and ‘A Change Is Gonna Come’.